A few months ago, Helen Moses, a private client, told me that she committed to her business coach to exercise 60 minutes every day until her 50th birthday, which was sixty days away. When I asked Helen how she was going to accomplish that, she said: “I’ll join Planet Fitness, even though I hate the gym.” Here was someone who didn’t exercise regularly, who committed to a daily time of 60 minutes, and didn’t like going to the gym. I knew she was setting herself up for failure and didn’t want to see it happen. We talked through it, and while she couldn’t go back on her commitment to go from zero to 60 minutes every single day, we did come up with a plan, and we reframed the situation. How did Helen do it? Making phone calls while walking around her neighborhood. Walking to pick up prescriptions. Walking to pick up her car when she got an oil change. 2) Helen bought a FitBike , which I have reviewed here and this made a huge difference in her ability to get movement in. She watched webinars, processed email, and because she put it in her living room, watched TV at night. If you decide you need one too, use code Fit15 for 15% off. Helen chose the National Rifle Association. I was her referee and had to confirm that she did her movement every day. There were several times that Helen said the only thing that made her move was knowing she would not only be pledging money to them but that she would be on their list. I’m proud to say Helen never donated to her anti-charity and she made her goal. She even sent me two videos to prove it during times when other people would have given up. Helen moving in her red high heels at a Las Vegas business event. Helen doing Tae Kwon Do in a hospital waiting room! If you want to hear how she succeeded in such a strong commitment, check out this video interview. I interview Helen on how she was able to make her challenge. 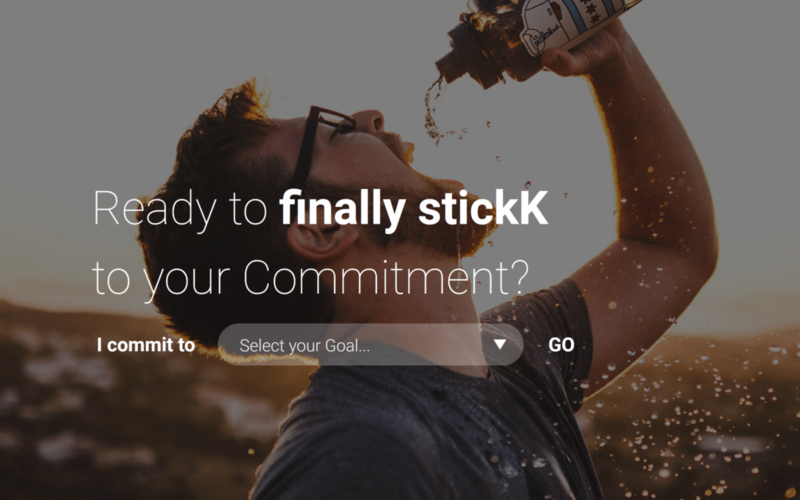 If you have a commitment that you just can’t seem to achieve, consider STICKK.com. What would that commitment be for you and who would you not want to donate money to?